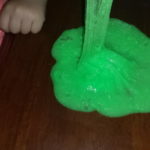 Two weeks ago, I was sent a Glow in the Dark Slime Science Kit by Discover with Dr. Cool to try out and review. 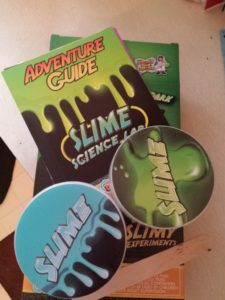 The kit comes with everything thing you need to create to different colors of slime; one green & one blue…both of which glow in the dark. 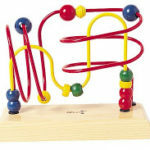 It also comes with a bonus activity booklet with games & puzzles as well. 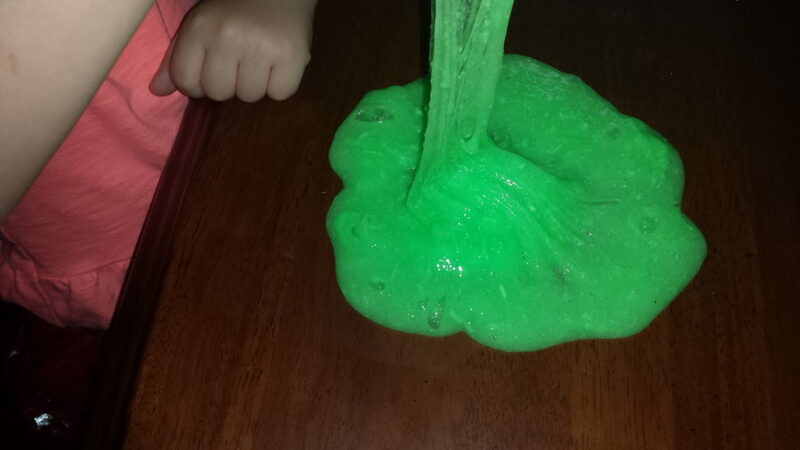 My daughter thought that this was the coolest thing ever, and was chomping at the bit to mix of the slime from the moment it arrived in the mail. 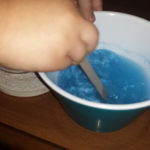 To mix it up, you need a bowl & some warm water (1 cup). 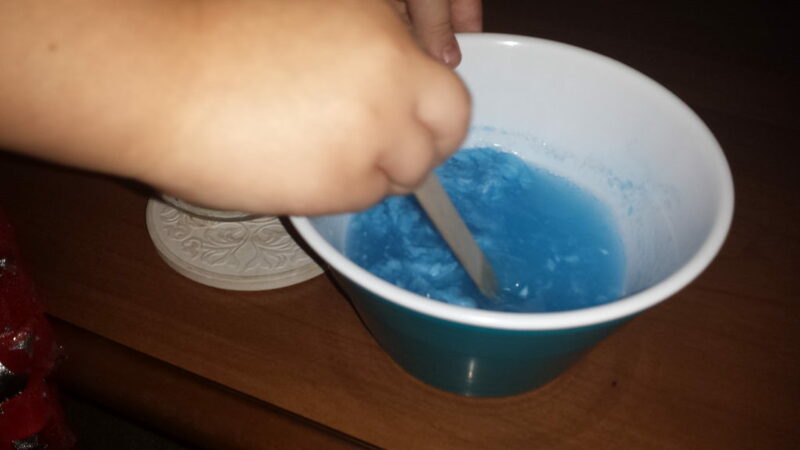 Mix the water & the slime powder in the bowl & use the provided stick to site very quickly. 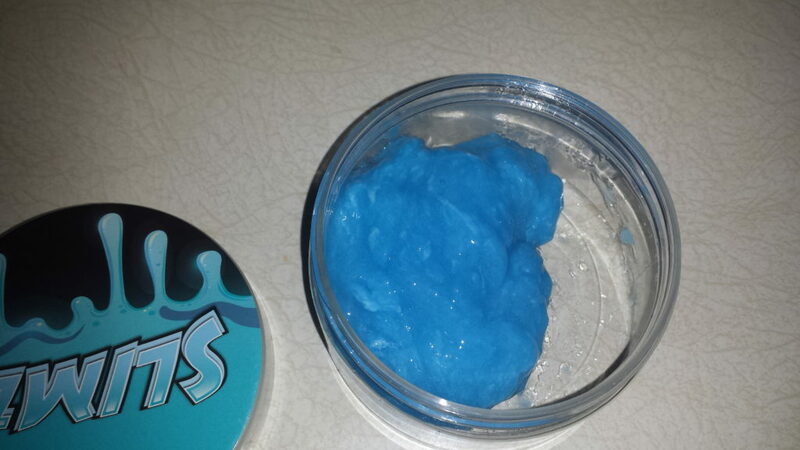 Once it’s mixed, you can keep it in the plastic contains that come in the kit. We attempted the make the blue first. It ended up kind of messed up because the water was a little too warm & my daughter wasn’t stirring it fast enough. We ended up with a small amount that wasn’t very gooey or slimy. I made the second one, the green, with no issue. It’s very gooey & will stick to everything, so make sure that you are on a surface that you don’t want messed up. My daughter sat in at the table for well over two hours paling with it. When she was done, I had to wipe her hands off really well before having her wash them. There were bits of slime stuck to her. There is a warning on the instructions that you don’t want to get any of it down the drains. Overall, my daughter has really enjoyed it. It’s still pretty gooey, but it’s lost a lot of its stickiness the longer she’s played with it. The kit is available on Amazon for $9.99 (+ shipping). 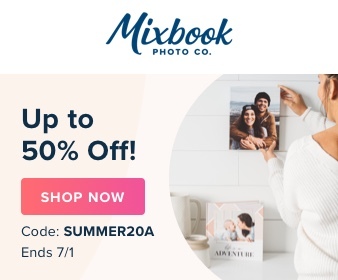 They also have a wide range of other items as well. My daughter already said that she wants the volcano kit. Last updated by Angela Rogers at August 30, 2015 .